Will there be carrots under the tree for me? Wishing you happiness, love, and peace today and every day. I'm taking a break from posting this week. I hope you and your family enjoy the last week of 2017. Enjoy your week away. Have a Happy New Year! Hugs! Thank you, Debbie--Happy New Year to you, too! Merry Days to you too! Love the picture! Thank you, Rita--hope you have a very happy New Year, and try to stay warm! Were there carrots? 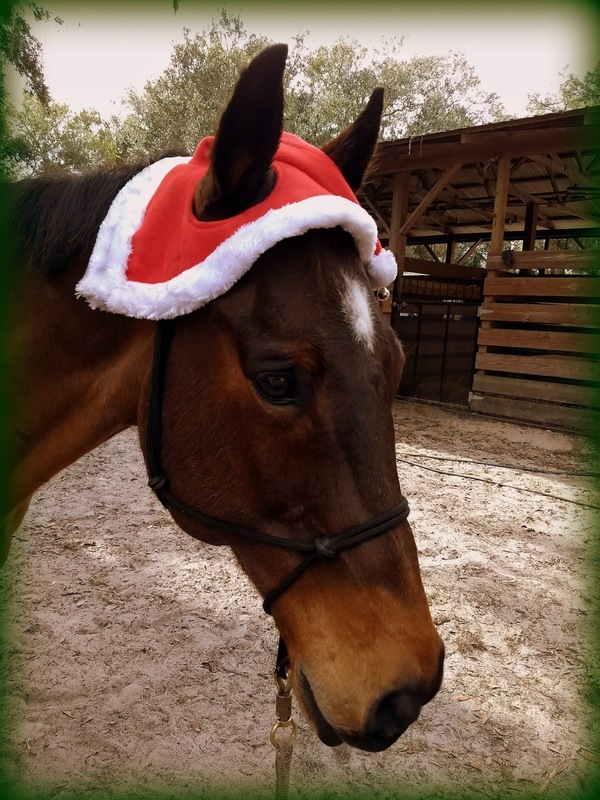 I bet a treat was had--surely he deserves it for wearing that Santa hat! :) Happy New Year Kathy!